White Gold Wedding Ring Diligo. 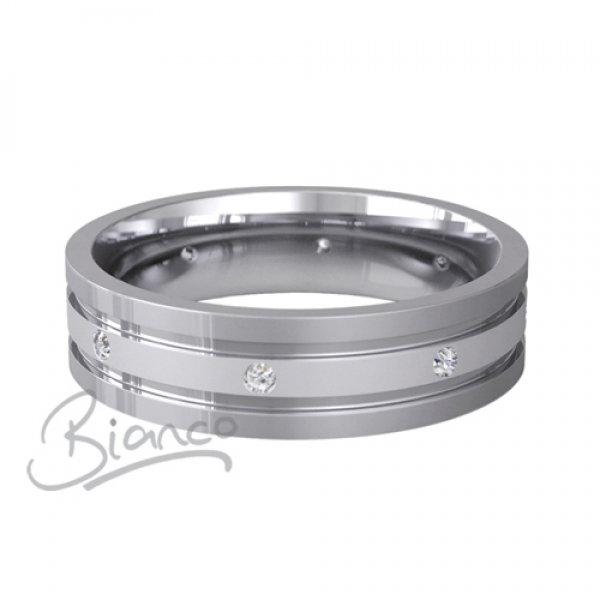 5 or 6mm wide Diligo Patterned Flat Court Diamond Wedding Ring. Brushed Matt centre set with eight 2pt brilliant cut diamonds, spaced equally around the band. Finished with highly polished convex edges.